We are living in a world where gender discrimination deeply rooted part of our society and still exists in every sphere of society; it gives us great pride to talk about a woman who defeats all the approach about the women and hold the top position of world’s leading company in food and beverage. The success of Indra Nooyi is not just her own success, her accomplishment as a female CEO; she has always been an origin of motivation to countless women across the globe. She has also proved that no matter what you, where you from belong; if you have dreamed about to became something great and you determine your goal then you get the success. In 2014, she ranked 13 in the world’s most powerful women by Forbes and also she was listed as the 3rd Most Powerful Woman in Business by Fortune. She has also been conferred by the “Padma Bhushan” (third highest Indian civilian award) by the President of India, and she was also appointed to the U.S.-India CEO Forum led by the “Obama Administration” as well. 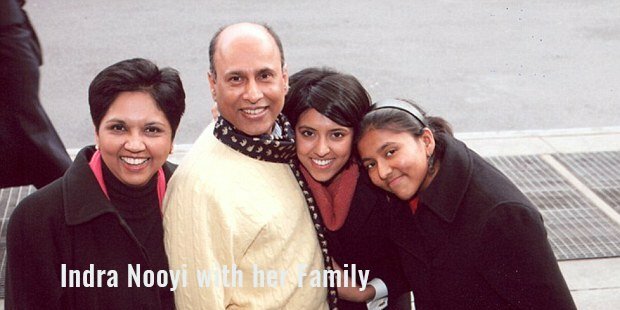 On 28th October 1955, Indra Nooyi was born into a Tamil-conservative family in Chennai. She was taught at Holy Angels Anglo Indian Higher Secondary School. She graduated in Physics, Chemistry, and Mathematics from Madras Christian College from the University of Madras in 1974. Her perseverance helped her to get into the very prestigious Indian Institute of Management, Kolkata, where she earned post graduate diploma in management, and after that, she worked for two years with Johnson & Johnson and a textile firm named Mettur Beardsell as a product manager. One day she was looking out a magazine, and when she came across an article about the Yale University School of Management and upon insistence from her friends, she decided to apply for admission. Now although, she had applied with an intention that she wouldn’t get through, surprisingly; not only did she gets the admission but was also offered financial aid. She went to the US to pursue her Master’s Degree in Public and Private Management, in 1978. While studying in Yale University, she used to work hard during night-shifts to pay for her college studies and worked as a receptionist from midnight to sunrise to earn money so that she can buy a dress for her first job interview out of Yale where she just completed her Masters. But she got rejected in her interview; she walked up to the professor for the advice, who asked her to dress in what she felt most comfy in. Hence, she wore a sari for the next interview, and surprisingly, she got the job! How Did She Climb Up The Stairs To Reach Pepsi Co? The initial stage of her professional life was quietly difficult because she was a woman and had to prove her to a dominant male world. According to her, she was also want to prove her because she was not an American. But then again, she didn’t let it influence her. Instead, she used it as her advantage to grow. After giving her six years of her professional life. From 1986 to 1994, Indra chose on to work with ‘Motorola’ as VP and Director of Corporate Strategy and Planning, and after that with ‘Asea Brown Boveri’ (ABB) as Senior VP of Strategy and Strategic Marketing. With her hard work and her brilliant management tactics, she had become the rising star in management sector. This is the time when she got the attention from leading brand industry; Jack Welch (former Chairman and CEO of General Electric) and Wayne Calloway (former CEO, Pepsi Co). Both placed an offer, but PepsiCo’s offer appealed to her more than the one of GE. She joined Pepsi Co in 1994. She served her services in the company at various responsible levels. She proved that to the whole world that with the combo of talent, hard work and determination you can achieve anything in your life. Looking at such remarkable skills of Indra, she was pushed to the post of Chief Financial Officer in 2000, which also helped her to be the highest-ranking Indian-born woman in Corporate America. In October 2006, Indra was made the CEO of the company. Although, she did continue as the President till April 2007, post which, she was also made the Chairman. In 2016 the company accounts for net revenue of $62.5 billion, now making it the leading largest food and beverage’s company in the world. 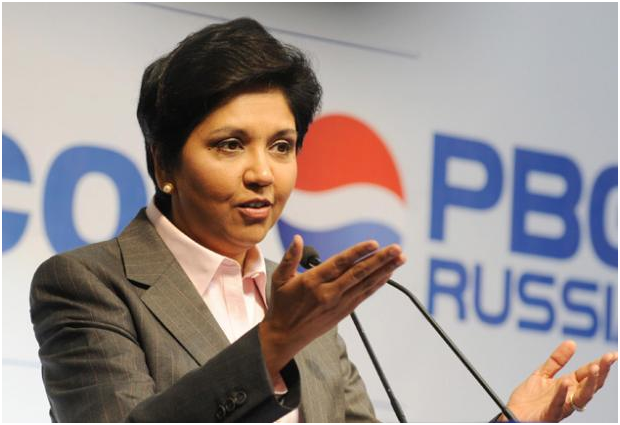 According to Indra Nooyi that after became CEO of Pepsi Co, she became more responsible towards her family and responsibility. Indra was also awarded the “Padma Bhushan” by Late APJ Abdul Kalam in 2007. In 2015 she received an ‘Honorary Doctorate of Humane Letters’ from the State University of New York at Purchase. Recently CEO Indra Nooyi explained how her long-term strategy for the company eventually paid off, but almost lost her the job. From the humble beginnings and sacrifices to become one of the most successful corporate icons, the CEO of Pepsi Co, she has certainly come quite far in her life. Undoubtedly, an example to follow. In the male dominating world, where women usually don’t think beyond marriage, Indra Nooyi not only made her path towards the success by breaking all the stereotypes but also reached to the height about which mostly people just dream.